My granddaughter has recently turned 17 and has started having driving lessons. We plan to buy her a car and there are many companies on Google that claim to specialise in insurance for learner drivers but they all seem to work on the basis that you have selected a particular model and they prepare a quote for that car. I wondered whether there may be some models of car that attract lower insurance premiums, or are most of the smaller cars in the same insurance group anyway? We have thought about a MINI, but a Fiesta or FIAT 500 have also been mentioned. Her best bet is probably a Toyota Aygo. Small engine, so insurance friendly, but also good looking and stylish and comes with a 5 year warranty. Will you please clarify the law on mobile phones in cars? I followed a white BMW all through London and he was watching a programme or film on his mobile, which was attached to the dashboard. Surely this is illegal? And totally dangerous? Yes, it is illegal in the UK for a driver to watch movies on any sort of device inside a car. That is why integral TVs in the dashboards of cars that are visible from the front seats will not work unless the car is stationary. The driver you spotted could be stopped and charged. We have a 2002 Astra G with 126k on the clock. It has the 1.6 8-valve engine. It needs tyres, brake discs and possibly a rear wheel bearing for its MoT. It also needs a service. It used to be owned by our neighbour and he gave it to us a year ago. It runs fine and doesn't use much oil (I keep an eye on it). My friend has offered me his 52 plate Citroen Picasso 2.0HDi diesel, also with 126k on the clock. This has wanted for nothing, though he thinks it needs a steering rack due to a slight knock somewhere (he thought this before the MoT and they didn't even give and advisory on it). It’s also had the belts done, new tyres, new clutch, new bushes on the suspension and some other things. It has 3 months MoT and had no advisories on it last year. We had on of these cars in the past but it died of rust due to a poor crash repair when it was new (we had it from new). Which one is most likely to be less trouble? I am aware its banger territory here. The 2.0HDI was the best Xsara Picasso, Xantia, 406 engine. Could do 50mpg. If it's had the timing belt done, that's good news. Obviously get underneath and check for rust, but I'd go for the Picasso rather than the Astra. I would like a 100% electric car, guaranteed 200-mile range, capable of 70mph at a price of £7,000. Just for me and dog. Is such a thing available? I may need it soon as my diesel has done 130,000 miles. Scrappage not in sight yet. Hydrogen fuel is now within reach on the M25 but I fear that hydrogen vehicle will not be available for many a year at an affordable price. There is no electric car with a range of 200 miles for that sort of price. Actually, as electric cars get older their battery capacities decrease, so even if a car had an original range of 200 miles, by the time its value sank to £7,000 it's range would be down to around 100 miles. I am still investigating the circumstances in which the accelerator pedal of my 2007 Nissan X-Trail dropped off while I was returning from a local shopping trip. Perhaps I should have inspected the car more thoroughly before I bought it from the approved Nissan dealership, but I still have the dealer’s inspection and servicing certificates confirming the vehicle’s fitness for purpose. How many of us have ever inspected the accelerator pedal of a car to see that it meets the factory standard of installation? During my life I must have stepped into dozens of company cars, hire cars and family cars without once kneeling down to check the integrity of the accelerator pedal. The investigation is still progressing and I have written to the garage in Wales that Motability tells me prepared the car for its first owner on 22 May 2007 to ask what adaptations were included. Is this a problem that you have come across before? No, that's a completely new one on us and I don't think it's a general problem because only a very small proportion of Motability vehicles are extensively modified to cover particularly severe disabilities. However, you write that the vehicle is a 2007 model, therefore 10 years old. Motability only normally keeps vehicles on its fleet for 3 years, so is likely to have de-fleeted this one and restored it to standard around 7 years ago. As diesel car owners/drivers are approaching illegality and costly charges it is time for a change. Could you please advise regarding the Peugeot 208 (petrol). I know they have a 3-cylinder engine, but nothing more. Are they a good buy? They look OK and have a good spec, but I would value your opinion regarding build quality, etc. I've never got on with the 208. The 2008 with the 3-cylinder 1.2 Puretech 110 or 130 engine is much better. If you want a small hatch, the DS3 now comes with the same 1.2 Puretech engines. Good rear visibility makes the DS3 particularly easy to reverse park. We have a problem with the ABS of our 2007 VW Touran. We had a mechanic look at it and he says the pump is working but the pressure sensor is indicating a fault. Can you let us know if we can get VW to fund the cost of replacement or repair? Not any longer for a 2007 car. You can get it fixed by sending the module away to http://www.ecutestiong.com/ Or check with VW dealers and VW specialists who now know about this fix. It will probably cost you about £500 all in. There is a lot of fuss at the moment in the papers and news about diesel emissions. I use V-Power, as you have recommended it many times, and find my 2.0 Mondeo diesel runs much more smoothly and quietly on it. What I wondered was, does this fuel still pump out a significant amount of muck, or is it a lot better environmentally? Some readers whose VAG cars have been in for the NOx emission fix find that their engines pump out less soot after the fix when run on V-Power, so the DPF regenerates less. That is strong evidence that the fuel is better for the environment. We look to downsize from a Galaxy TDI that has served us and our six grandchildren well over the last 13 years. We would like something smaller with 5 seats, good economy, elevated seating, and just as comfortable. Plus a pokey engine; not a new car. We bought the Galaxy after reading advice in your column. VW Golf SV 1.4TSI 150 6-speed manual. But definitely not the DSG automatic: Or a Citroen C4 Picasso 1.2 PureTech 130 with either 6-speed manual or 6-speed EAT6 torque converter automatic. My 2006 Ford Focus TDCi Ghia (which I have owned from new) is becoming tired and emotional with 216,000 miles on the clock. I love the torque of its engine but, being mindful of the diesel debate, feel I should replace with a petrol car when mine dies. What similar sized car could you suggest that has a similar toque to my present car? A Peugeot 308 1.2 Puretech 130 6-speed manual. Has 230Nm torque. Very punchy. Romps up hills. And capable of 50mpg. I have a 2002 Citroen Xsara SX 1.6 16 valve hatchback. Will my car meet the Euro Emissions 4? I have read in the press that certain cars built before 2005 will not meet the requirements and could in some towns be subject to surcharges. Can you shed any light in the situation, please? No. That car will be EU3. The London Ultra Low Emission Zone is the current London Congestion Charge zone. From September 2020, all cars, motorcycles, vans, minibuses, buses, coaches and heavy goods vehicles (HGVs) will need to meet exhaust emission standards (ULEZ standards), or pay a daily charge when travelling in the zone. This applies 24 hours a day, 7 days a week. The charge is £65 a day for motorcycles, cars, vans and minibuses and £500 a day for HGVs, coaches and buses. It is in addition to the Congestion Charge and if unpaid within 14 days the charge is doubled. The ULEZ standards are Euro 3 for motorcycles; Euro 4 for petrol cars, vans and minibuses; Euro 6 for diesel cars, vans and minibuses; Euro 6 for lorries, buses and coaches. Instead of a scrappage scheme for 'dirty' old diesel vehicles, would it be feasible to run a "swappage" scheme? This would involve offering owners of polluting diesels an equivalent model, petrol-fuelled and roadworthy, as a replacement. Collaboration with the reputable end of the secondhand motor trade would be vital. As HMG apparently intends to put money into a scheme, they could even promote this as a form of recycling. You will know whether there are sufficient suitable used vehicles to be replacements, or whether the idea is too fanciful! I'm sure you will also see numerous drawbacks and bureaucracy troubles. Where would all these petrol engined cars come from? I'm afraid that sufficient numbers simply don't exist. And even if they did, the cost would be enormous. The diesel car parc in the UK is about 15,000,000. Assuming only about 10,000,000 older diesels remain you would need to multiply 10,000,000 by an average value of around £3,000, so you'd be talking £30 billion. I bought my third Skoda Octavia last August. It is a one owner 2012 1.4TSI Elegance, present mileage is 12,500 (previous Octavias were a 2002 1.9TDI and a 2007 1.9 TDIPD. Both had manual gearboxes and were great cars). My 1.4 TSI DSG was bought from a FIAT dealer in Chepstow. Having checked and obtained a printout from a Skoda dealer of its service history there is no record of the oil in the DSG gearbox being changed from Synthetic to Mineral to protect the Mechatronics from damage at high operating temperatures. I know that you have on many occasions warned about potential problems with the complex DSG gearbox but I am totally sold on the Skoda Octavia so my first automatic had to be a DSG. As the gearbox oil change to Mineral was, I believe, a recall, should I expect a Skoda dealer to change the gearbox oil FoC if it has not already been changed? My car is low mileage at 12,500 miles but is a 2012. Does the DSG gearbox oil normally require changing after a certain amount of mileage or should it be changed based on the age of the vehicle? The whole thing blew up in 2011-2012, so I think there's a high chance that the oil in your DSG was either mineral in the first place or was changed to mineral in 2012 or 2013. There would not normally be any paperwork for a TSB of this nature, but there is probably a central record of it against the VIN or the reg. A Skoda dealer can probably find out for you. Once the oil is changed, VAG takes the view that it should last the life of the car, but many dealers more cautiously recommend it be changed at 4 year or 40,000 mile intervals. Unlike the 6-speed high torque wet clutch DSG, the oil of the 7-speed dry clutch DSG is not shared with the clutch pack. Why is my car tax renewal quoted as £230? on the renewal form and charged at £240? when I pay online by debit card? The official Government website says there is no fee for paying by debit card so what is the extra £10 being charged for? I have just tried to tax my wife’s car and the same thing has happened: £185 quoted on the renewal form and £190 being charged on the official Government website when you pay by debit card. £5 extra for what? What is going on here? Am I missing something obvious? CO2 based VED went up a bit, from 1st April. From £230 to £240 for your car. From £185 to £190 for your wife's car. That explains it. I wonder if you have any insight into concerns we have about our new Range Rover? We have just traded-in (possibly regretfully) a Range Rover 3.0V6 TDi bought from new in March 2014 for the same replacement March 2017 vehicle. Our last car was without doubt the most sophisticated, smooth and quiet diesel I have ever owned. It had power with staggering mpg – never below 36mpg and often over 40mpg on long journeys. We assumed that was the standard. However, from first driving our new car it felt harsh and the diesel rattle could be heard in the cabin. Worse still, we were getting average mpg figures below 20mpg on journeys shorter than 15mins. The dealer found a faulty valve regulating the air/fuel information to the ECU and corrected it. It was then said to be fully up to spec. Some of the harshness has gone but when cold in a morning faint but unpleasant groans can be heard from the engine bay for a few minutes. Moving in queuing traffic on an upward gradient can emit tractor like noises from the car, audible in the cabin. The average mpg has now crept from the late 20s to the early 30s. On a longer run out I got up to 36mpg average at one point that shrunk to 30mpg by the time I got home. My wife says that it is only better because I am now driving it like a hearse. She’s right. I notice that I have to press the accelerator harder than the previous vehicle to get the same acceleration but without the same effortless smoothness and consequential increased noise. I also notice that even when I drive it very carefully the auto transmission wants to hang on to the lower ratios, even downhill. If I use the paddle to select higher ratios it accepts it readily and it stops the mpg from falling. The dealer said that the new diesel emission regs came in a year ago and that LR have also dropped the twin turbo injection to a single turbo. Is this relevant? I accept that the car has only done 500 miles and will be tight but we are about to do two runs in the next few weeks that will take it to over 1,500 miles which will finally confirm if we have made a big mistake in giving up the previous car. If still unacceptable we will have to start the long slog with the dealer. Depressingly, we were given a courtesy car RR Sport 3.0 diesel with the sportier engine and 4,000miles on the clock. It was quiet and smooth but I couldn’t better 29mpg. I never had to think about driving cautiously with our previous car. Have you heard any other similar feedback from owners since the new regs came in? I’m hoping that the car will settle down but we are currently looking at a minimum of 10-15mpg deficit and a less refined car compared with the last car at the same mileage.. Though the cars look the same, your March 2014 was probably EU5, whereas the new one is definitely EU6. It will have a Selective Catalytic Reduction system using AdBlue. After the NOx emissions fix to EA189 VAG engines, some owners have found that switching to Shell V-Power Nitro Plus diesel helps enormously. The less NOx a diesel engine chuffs out, the more soot it produces. That means that the diesel particulate filter has to regenerate more often, and to do that it uses diesel fuel, increasing the amount of fuel consumed by the vehicle. But it's likely that high-grade diesel such as Shell V-Power produces less soot than ordinary diesel, so there are fewer active regenerations of the DPF and fuel economy is not so badly affected. I'd give it a go. My wife and I are the owners of an Audi Q3 2 litre diesel now coming up to five years old. 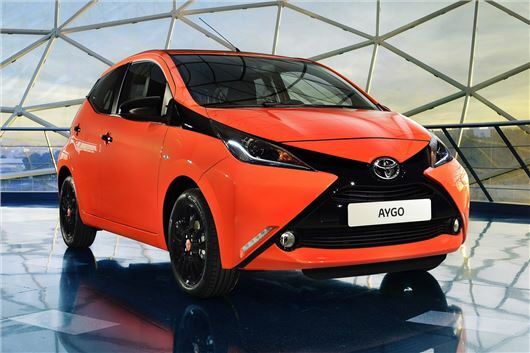 We want to sell it or trade it in, and buy a compact 2.0 litre 4/5 seater high-off-the-ground petrol vehicle. What cars do you recommend? I am about to change my 2.0 diesel Skoda 4x4 estate for the 1.4 petrol TSI estate, unavailable unfortunately in 4 wheel drive, so I will have to fit winter tyres when necessary. Do you have any information regarding this particular engine, as there were problems with the 1.2. Secondly, I notice that data on new car registrations for March showed 562,337. Some of this increase would be due to the change in VED. However, of greater interest is the fact that diesel car sales were 244,263 a rise of 1.6pc and giving diesel cars 52.5pc of the market. This percentage is much the same as the previous month. These figures pose a couple of questions regarding diesel cars and the public. With all the current scaremongering in many papers regarding the decline of diesel, does the public actually believe it? From the above sales it would appear not. If it is going to be the end of diesel then many owners are going to have major problems with part-exchange values. The momentum for this reduction of diesel powered vehicles appears to be gathering force. I would value your opinion as to what is likely to happen and when. The new Octavia range, including the 150PS 1.4TSI, is tested here: /road-tests/skoda/skoda-octavia-2017-range-road-test/. The 1.4TSI is strong and pleasant. VAG switched from chain cam to belt cam in late 2012 for this engine. No timing chain problems since, though, of course, the belt needs renewing every 4 years or so. If I were you I'd stick to standard 16-inch 205/55 R16 wheels and tyres or 17-inch 215/55 R17 wheels and tyres and substitute Michelin Cross Climate or Goodyear Vector 4-Seasons tyres for the standard tyres once you've had had half a year's wear out of them. Most of the diesel cars you mention were not sold to the public. They went onto fleets that are about 80% diesel and still offer benefits to the drivers and operators who usually offload the cars onto the public before they become trouble. I think they might catch a cold trying to do that with the cars they registered in March to escape the higher showroom tax and universal tax regime. In its infinite wisdom, Edinburgh city has changed the maximum speed limits on many of its inner city roads from 30mph to 20mph.mI rely a great deal on the speed limit indicator on the sat nav in my Audi A1 to avoid breaking the law. However, even although many streets and roads are now 20mph, my sat nav still displays the 'old' 30mph indication when I travel these roads. Have you any idea how I can rectify this anomaly? This is because your satnav is indicating the limits from mapping that is now out of date. The newer systems, first seen on the Focus in 2011, use traffic sign recognition cameras to relay the prevailing speed limit to the screen. You can get an up-to-date aftermarket satnav with a traffic sign recognition camera, but the only way to show the new limits on your existing satnav screen would be to get a mapping update, and the latest update available might not necessarily be fresh enough to show the stupid new Edinburgh limits. I bought an Audi Q7 1st March 2016. It has given me endless problems about which I have contacted you previously. I rejected the car in formal manner by recorded delivery on my solicitor’s advice within the 6-month limit. The dealer never acknowledged my rejection. I allowed this to slip as there remained only one issue: an annoying rattle in the driver’s door pillar. This became an intolerable rattle by early March and they took the car in. After 5 weeks and the loan of an A3, they have just returned the car with another very loud rattle fixed, but the original annoying one remains. This was the 5th time the car has been in for repair of this defect. Can I take the car to another Audi dealer unconnected with the original and have the car repaired by them under warranty from Audi? And can you advise how I stand with the rejection? I so regret this purchase and would be very, very happy to see the back of it on fair terms rather than the “trade-in” Audi is offering. Your original problems were logged here: /carbycar/audi/q7-2015/?section=good/ Presumably you have documentation and a certificate of posting that proves you rejected the car within the first 6 months. If not the, dealer can deny he ever received it and cite that as the reason why you did not hear back from him. He would also question why you kept bringing the car to him for repairs after you had rejected it. You still have a theoretical right to reject it under Clegg v Olle Andersson 2003 House of Lords on the grounds that the car was fundamentally faulty from the day you took delivery. But if the dealer fights your rejection you would face an uphill struggle through the County Courts and very significant legal fees and court costs with no guarantee of a favourable ruling. If you won, an allowance would be made for your use of the car. You would not get the original price back. As always, the best route forward is to negotiate. Law here: /faq/consumer-rights/ I would not break the chain of liability by taking it to a different Audi dealer for repairs unless you previously get agreement from the dealer who sold you the car.